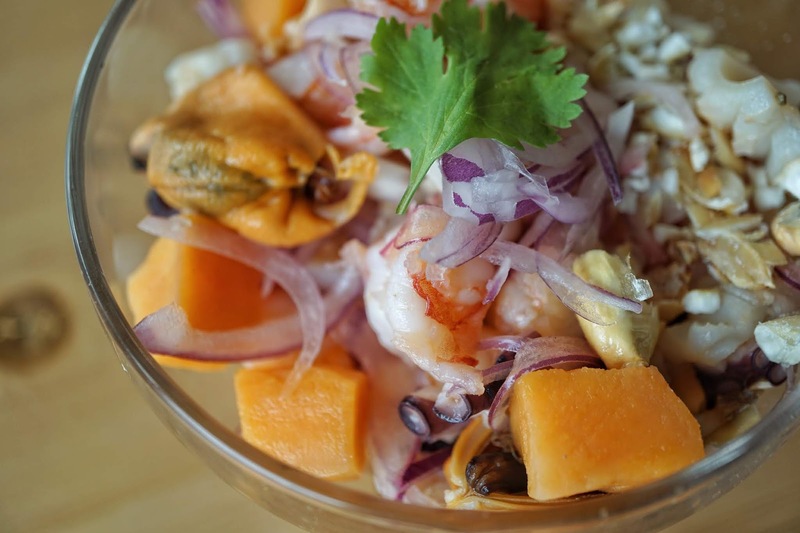 Cocina Peruvia is no new name in the food scene. As one of the pioneers to bring Peruvian cuisine in Manila, it has been a familiar name in the foodie community. I have to admit though, I didn't exactly fall in love with this place. My first two visits left me underwhelmed and I wasn't very excited to try it again the third time around. 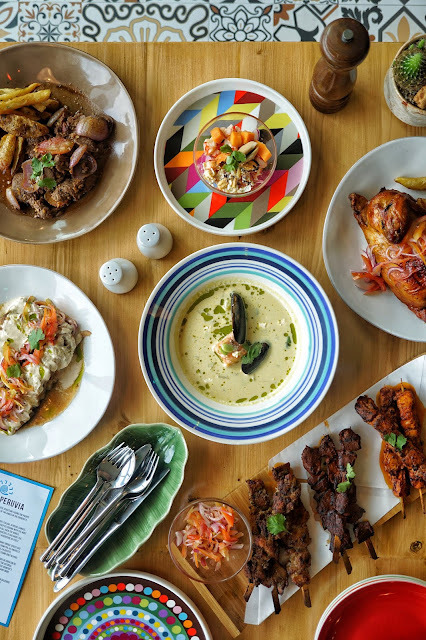 But the idea of seeing some of my favorite foodies enticed me to brave the morning traffic and head to Podium where Cocina Peruvia opened its third branch. Unlike its previous branches, its Podium branch is well lit and has a more cheerful ambiance. I was too excited to chit chat with my favorite people though that I totally forgot to take photos of the restaurant. 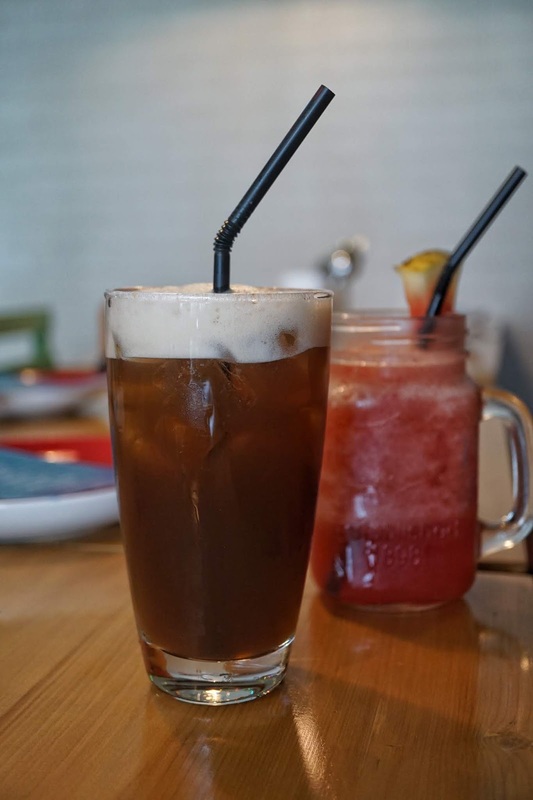 To start off our meal, R ordered Watermelon Shake (PHP120) while I went with House Blend Iced Tea (PHP90). Both were great thirst quenchers! Colorful and mouthwatering dishes were served one by one. And I remember a handful from my previous visits. A refreshing bowl of Ceviche Mixto (PHP290) definitely caught my attention with its festive colors. The delightful snappy texture of octopus, shrimp and mussels was pure joy. Spiced with aji rocoto and complemented by citrus juice, this dish serves as an excellent starter and palate cleanser. We feasted on Mixto Patacones (PHP350) next and it was love at first bite. 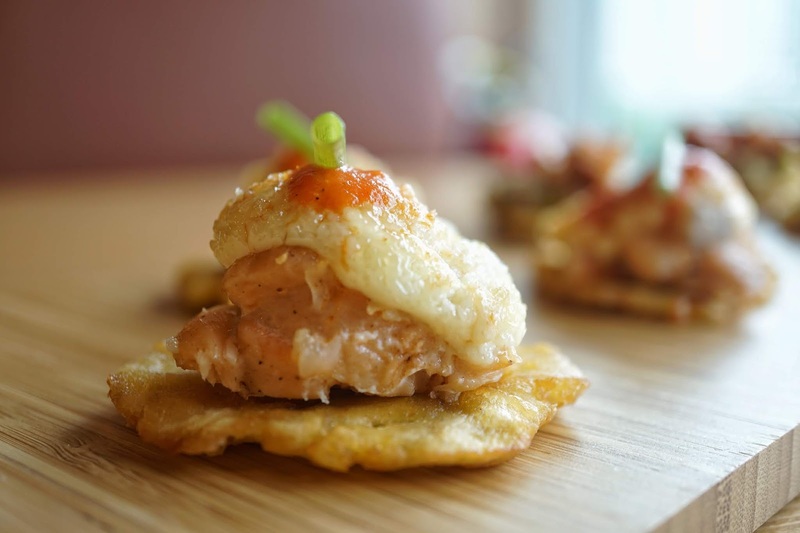 Who knew fried bananas would go perfectly well with salmon and shrimp? 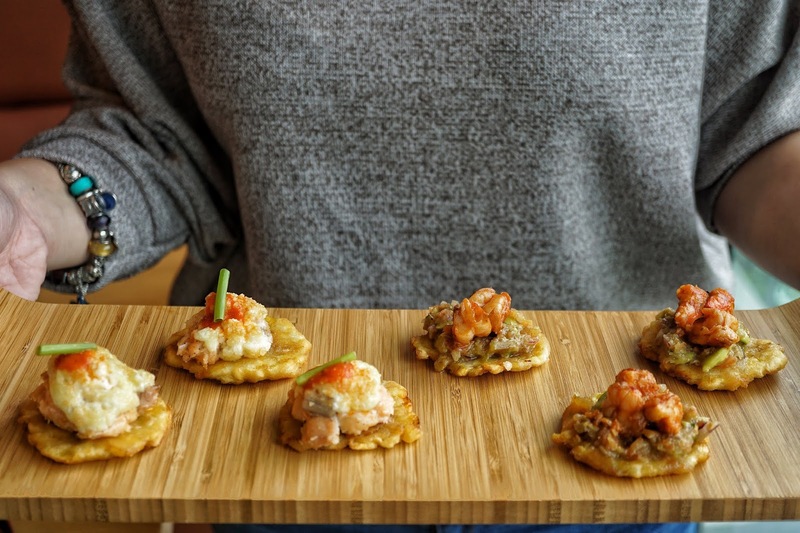 An order of Mixto Patacones will get you three pieces of fried bananas topped with shrimp, avocado salsa (think guacamole) and sofrito sauce (tomato-based sauce) and another three pieces of fried bananas topped with salmon, mayo mix and sofrito sauce. 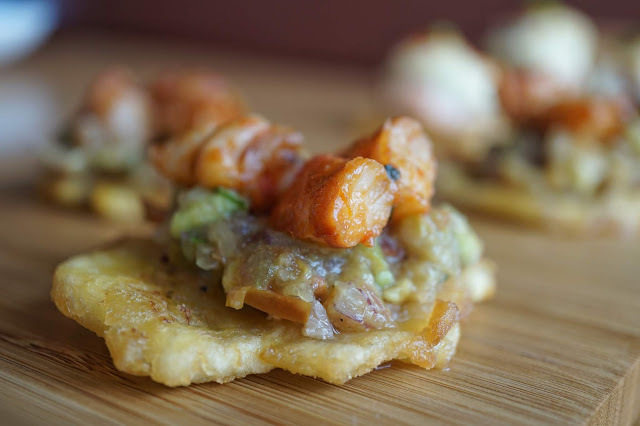 This dish is something I'd describe as party in the mouth as each bite would give you complex textures and flavors. Both were spectacular but I enjoyed salmon more. 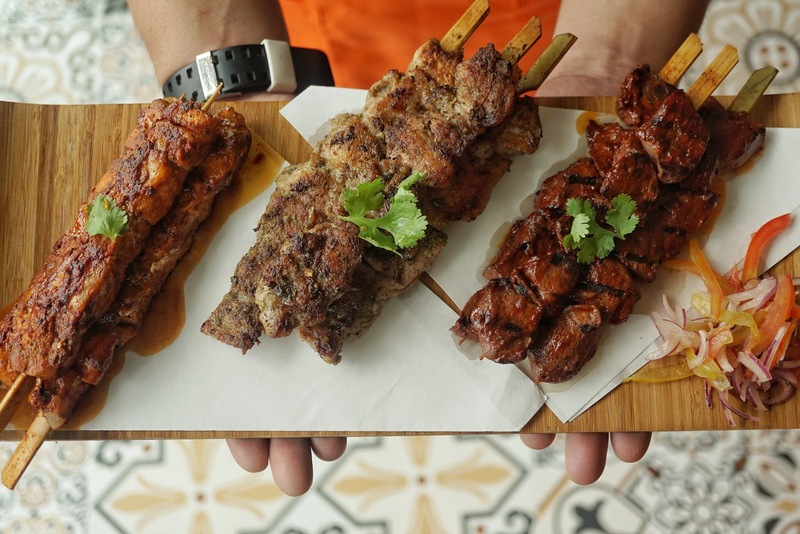 One of the dishes I'm familiar with is Mixto Anticuchos (PHP600 | PHP1,000), a platter of grilled beef heart, salmon belly, chicken thigh skewers served with chimichurri and aji anticucho sauce. Grilled beef heart was one of Cocina Peruvia's best sellers when it started. I was never a fan though. But the chicken thigh was good and the salmon belly was crazy good. Fatty salmon belly chunks grilled to perfection, what's not to love? Make sure to dip it in the sauces to further enhance the taste of the grilled meats. Lomo Saltado (PHP450 | PHP1,190) is yet another familiar dish. But unlike my former visits, this plate of marinated beef tenderloin served with fried potatoes and lomo sauce wasn't just salty. It had more taste dimensions this time around. Beefy, sweet, garlicky and tangy, distinct flavors seamlessly blended together making this dish an instant favorite. 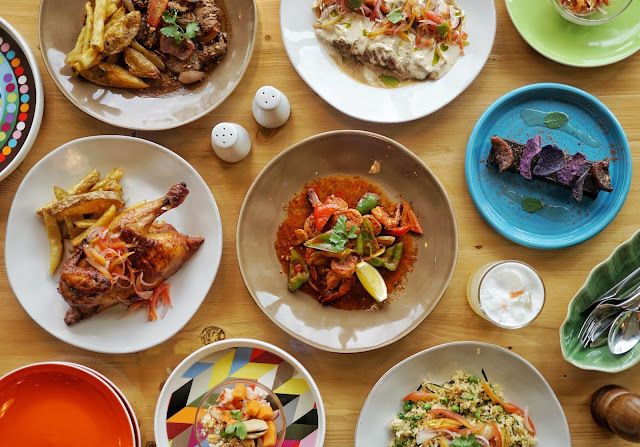 Filipinos love bold flavors and this is why Adobo Peruvia (PHP400 | PHP1,190) is an instant hit. This slow cooked pork belly in thick cream sauce topped with salsa creole is the very definition of the word tasty. 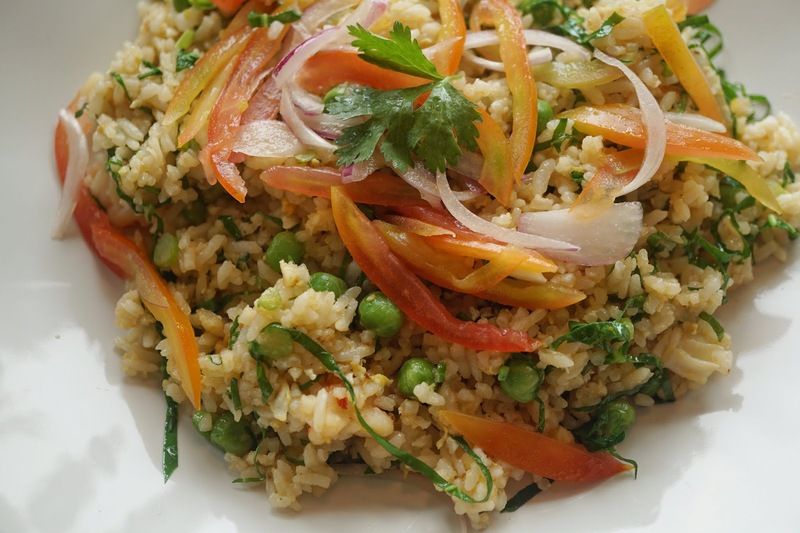 Rich in flavor, one must have rice to enjoy this melts in your mouth meat. Speaking of rice, do try Cocina Peruvia's Chifa Kale (PHP290). 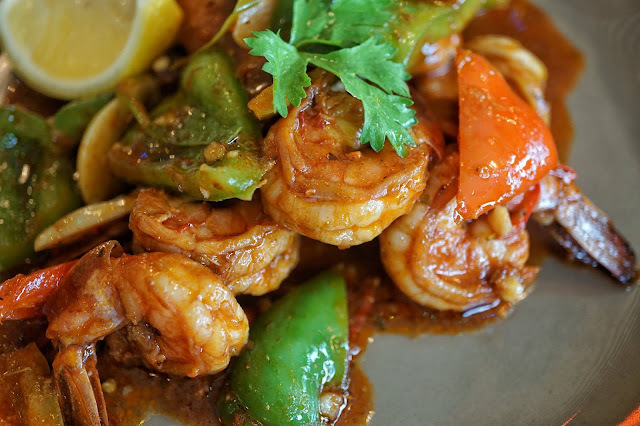 Sauteed with seafood, fresh greens and rocoto sauce, it gives this plate of rice a nice natural sweet taste and a subtle spice to it. Light in flavor, it goes perfectly well with meats. I didn't expect to also fall in love with Chupe de Pescado (PHP300). This bowl of fish chowder with mussels, edamame, ricotta cheese and cilantro oil was more complex than how it looked. 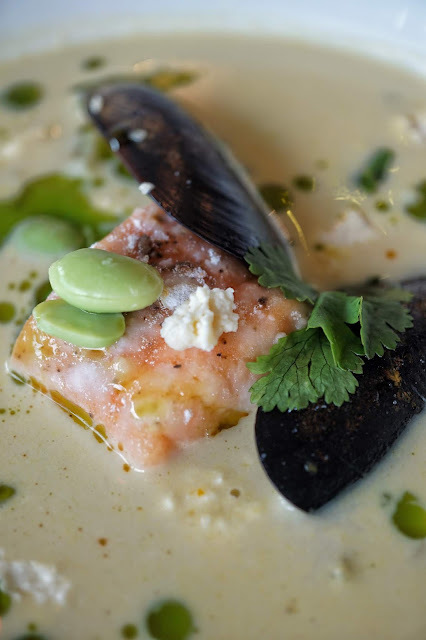 Creamy and bursting with flavor, each spoonful would give you a lovely taste of the seafood which beautifully blended with ricotta cheese and cilantro creating an unforgettable harmony of land and sea. Pollo a la Brasa (PHP380 | PHP750) has been one of my favorites in Cocina Peruvia. 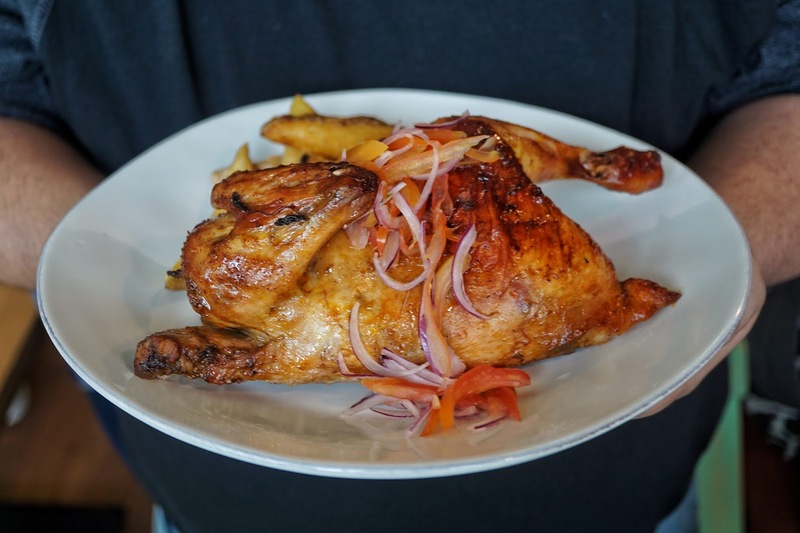 The restaurant's take on roast chicken is smacktacular. 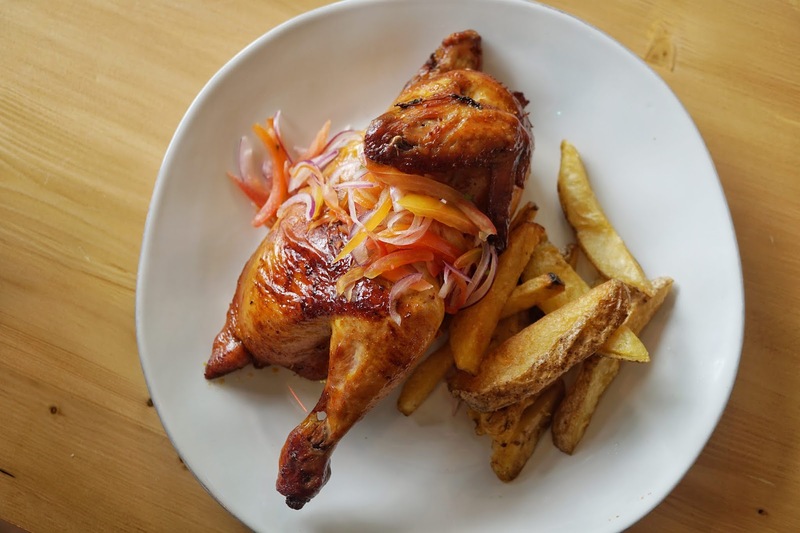 Marinated with Aji Panca and Lomo Sauce, a bite of this tender chicken would give you a sweet berry taste with a smoky flavor. 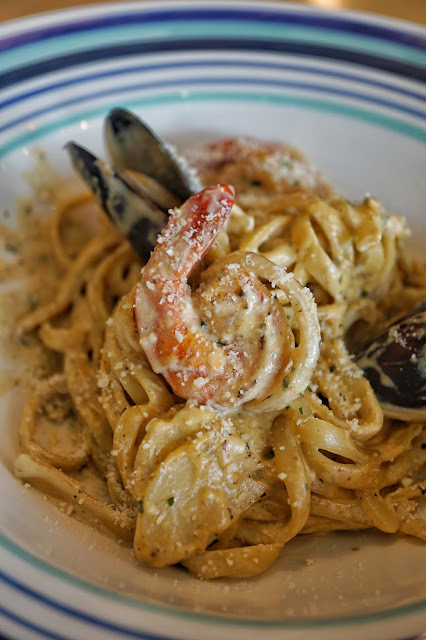 If you prefer something simpler and quick, Cocina Peruvia also offers pasta dishes perfect for those in a hurry. And I must say, its Linguine con Carbonara (PHP280) hits the spot. 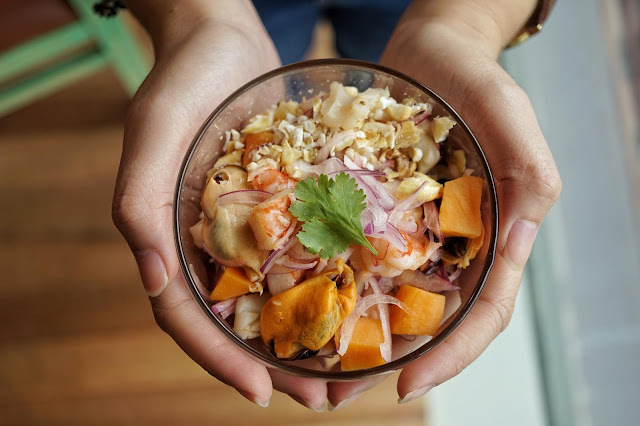 This creamy al dente flat pasta with seafood and garlic is made interesting with aji amarillo, a bright orange thick chili to give it a Peruvian touch. Don't worry, it didn't make the dish spicy at all but it definitely enhanced the flavor. 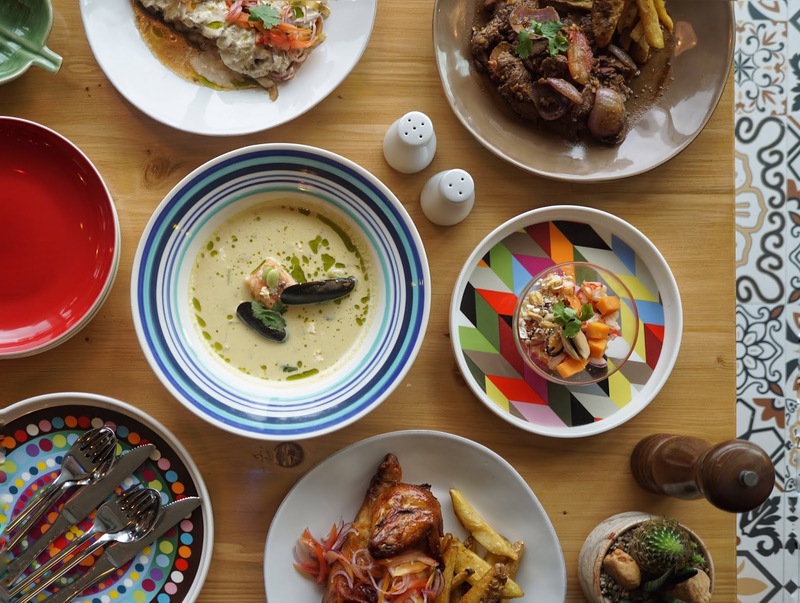 I was about to burst with all the fantastic dishes served to us and I wasn't able to find room anymore for Gambas con Saltado (PHP450) and Chopsuey de Peruano (PHP380). But seeing how others ate their portions, these must have been good too. But I did save space for dessert. Galera de Chocolate (PHP350) is the reason why I still visit Cocina Peruvia despite my not so pleasant visits in the past. This marvelous creation is an absolute must order treat to cap your meal. 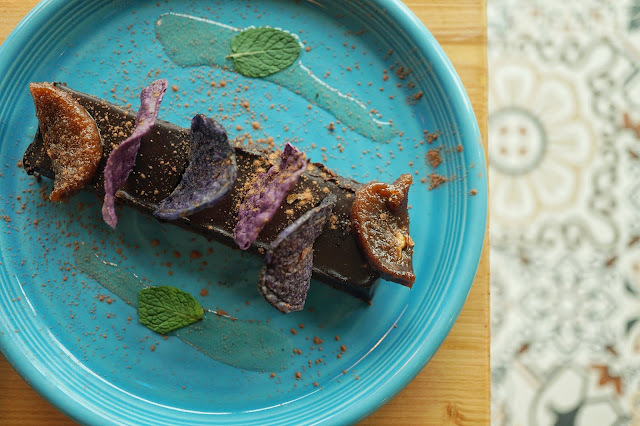 The baked chocolate tart topped with heavenly dark chocolate ganache, blue chips and dried figs made my taste buds do the triple axel out of pure bliss. Crunchy yet velvety smooth at the same time with a delectable taste of fig, just writing about it makes me drool and crave for more! 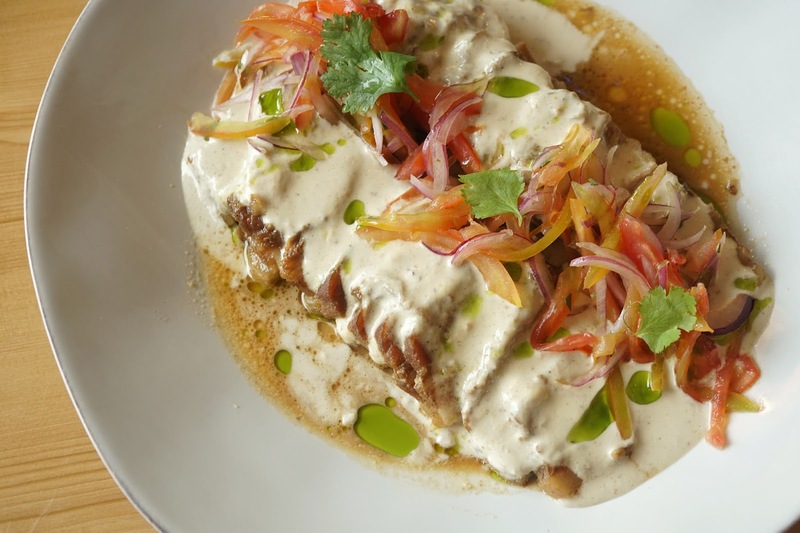 I was pleasantly surprised with how much Cocina Peruvia's dishes made me smile from the first bite to the last. It was a lovely feast and it turned me into a fan. I'll definitely be back and not just for Galera de Chocolate this time.